YESSS!!! We have our Brazilian family giving us some more production. 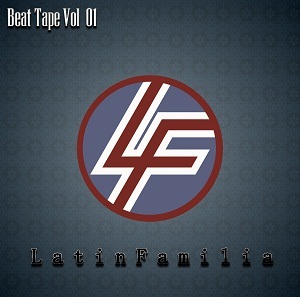 He has just dropped his new Beat tape, LATINFAMILIA BEATAPE VOL 01. Listen to it while its hot of the stove. Also, check his Thght Process Q & A below. LF-My name is Orlando (KC). I am MC and Producer Rap/HipHop. My Specialty is producing hip hop. LF-Music,Skateboard, my daughter, my family, my wife, my true friends, FL Studio, audio and piano. LF-See my music being heard, meet other cities, opinions and now everybody look for me as producer and not only as MC. LF-Listen to my songs, my fans! Working more. Why am I now in this game. I thank you the opportunity to talk a little bit of me and about my work! And thus decrease the distances between our countries! Also to thank my friends and bruv’s to support me, support the scene are producing, are spreading or singing rap. One save to Celso ( Punk), why have helped me in this interview, to my friends of street: Leo Dagar – Amazonia Beatz, for supporting me and giving more space to promote my work. The producer’s of sp junior Paulo Perne (Marcelo) among others which we do Sao Paulo SP also a place that thinks the art of making hiphop beats.